Which spyderco is in the mail? Salt 2 PE. I lost count of my Salts. I love the Salt 2’s lightness and that tiny bit of extra thickness. One thing I notice on my pacific salt with the black blade is that there is noticeable friction when I thumb the blade open between the blade and scale. I'm sure this wouldn't be there with the non coated blade. Well, you just find where it rubs and very slowly and carefully sand or use a sharp blade, and remove a bit of the inside of the scale. Just enough to stop the contact, unless the blade’s way off center or something. I’ve done it on a few. Latest was this. After I switched scales, it rubbed. Might be more friction at the pivot too, because it’s coated. This one has some. It’ll loosen up after I use it a bunch. I’ve always wanted to own something with CF, and was initially drawn to the Domino because of the CF. Then I saw the bento box G10 version and had to have it for the steel/color choice. I am worried about the 52100 steel corroding, but I’ve had good luck with my other non stainless knives thus far in the desert. I hear this steel is very prone to corrosion. Not actually in the mail, yet. 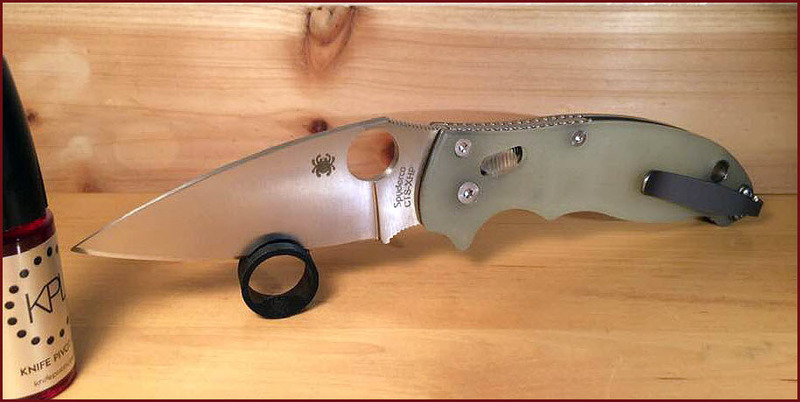 But I have on option on a PM2 camouflage and a Police Spyderedge. The guy is on holiday and will be returning on Saturday to mail my precious - es. Interesting that it has an XHP blade. Nice find, I’m sure it was a deal! Still waiting for forum knife from across the pond. 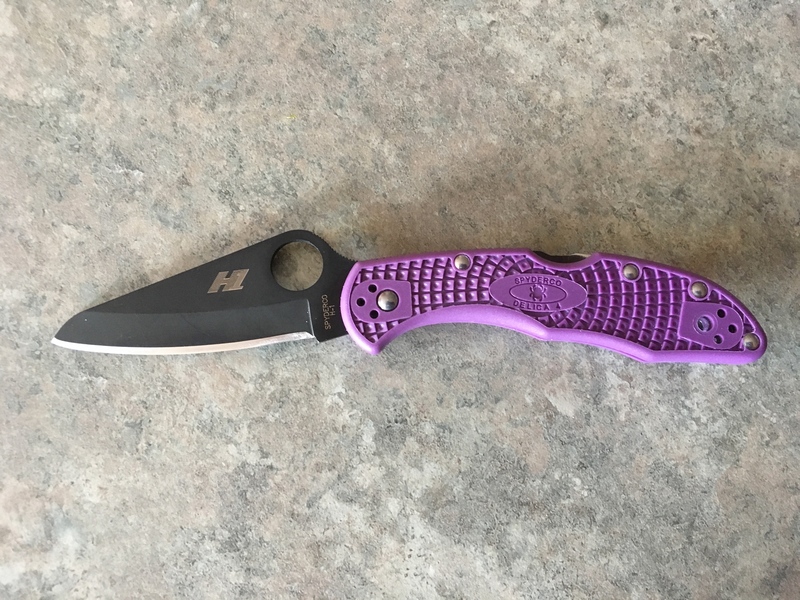 Just ordered a para 3. Can't wait! Just got the knife bug again. Beautiful knife. The catalog photo didn't do it justice! Old school, blocky jimping, black combo edge, "MILITARY". So excited about it too. Probably shouldn't have, but I picked up a titanium Chappie. I couldn't resist it for only like $139. I was already fighting the urge to buy the carbon fiber one. When the ti dropped to only $10 more, I couldn't resist. New office carry, I suppose. Feel bad for the Rhino. My GEC Bullmoose has been beating it out for office carry time. Idk how either could compete with the looks of the ti chap. Rhino, thanks to the eBay 10% off. 4V CF Manix thanks to eBay 10% off.